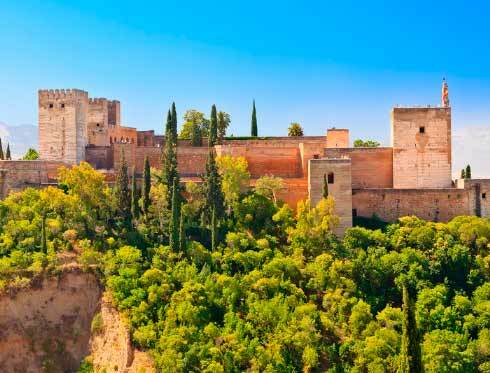 If you are looking for a different plan for this Christmas, Granada City Tour offers you two different options to discover a different and special Granada. 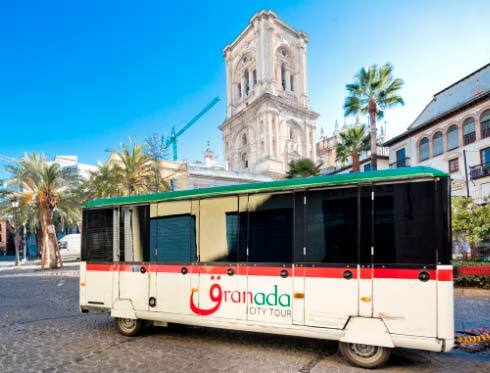 Granada City Tour hop-on hop-off tourist train allows you to ride through the city during a day or two for a rate which allows you to use both of the routes offered by the service of the official train of Granada: the day-time and the night-time route. With the Alhambra route Day-time you will be able to discover the Christmas atmosphere of the streets and markets and with the Alhambra route Night-time you will be able to enjoy the Christmas lightening in a comfortable way. With the tourist train, apart from being able to enjoy different itineraries around the main points of interest of the city, if you get off the bus at stop number 9 -Catedral/Plaza de la Romanilla- you will be able to get to know the Christmas markets of Bib-Rambla and Puerta Real. There you will find a lot of different items related to Christmas, as Christmas decorations, traditional sweets and more. Do not leave Granada without tasting the ‘turron’; there are different flavours such as almond, coconut, toasted yolk and a whole host of flavours to be chosen. For sure, you will find your favourite one. Another Christmas tradition in Granada and Spain is the nativity scene. Each year, there is a contest of nativity scenes for both young and old in which brotherhoods and other religious associations participate. The best nativity scenes are placed in different points of the city to be displayed and seen by locals and tourists. Go to the Albaicin -stop 6-, Plaza Nueva -stop 3-, Barrio del Realejo -stop 12- or the City Hall -stop 10- and let the nativity scenes designed by the participants surprise you. 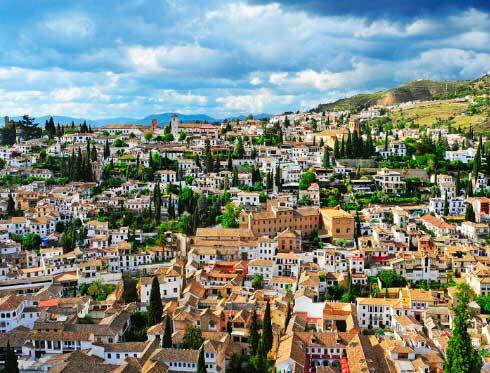 Do not hesitate to take Granada City Tour tourist train and get lost in the Christmas spirit of Granada: a perfect plan for people of all ages.